Jefferson is a member of the Origination Team. He is the first point of contact for law firms with clients that recognise the benefits of litigation funding. As part of this role he undertakes aninitial analysis of matters and designs pricing structures to suit the client’s requirements. 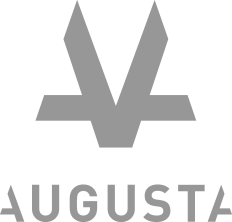 Prior to joining Augusta, Jefferson spent over 12 years in private practice most recently as a Senior Associate with Ashurst for seven years. He has extensive experience in restructuring and insolvency as well as general commercial litigation. During his time in private practice he was seconded to a large Australian bank on several occasions and an ASX listed media business. Jefferson holds a Master of Laws from the University of Sydney and a Bachelor of Commerce (Finance) / Bachelor of Laws from the University of New South Wales. He is admitted to the Supreme Court of New South Wales and the High Court of Australia.